Home maintenance and repairs can be a challenge for any homeowner, but they're essential to keep a home in good condition and running efficiently. Regular maintenance will help prevent problems and save you money on repairs, especially if you live in an older home where things haven't been upgraded through the years. As a homeowner you may be able to handle some maintenance and minor repairs yourself, but major repairs are best left to qualified general contractors who can make sure that the work is done properly. By working with a full-service, experienced contractor in your area, you can ensure proper maintenance and repair work to keep your home in peak condition year-round. Regular maintenance serves as a preventive action to ensure that your home's components keep working efficiently year-round. Without it, you will incur higher costs for repairs. Regular inspections will help to identify potential problems before they become big problems that cost you thousands of dollars in repairs. By scheduling regular maintenance for your heating and air conditioning, plumbing, and electrical systems, you can prevent costly repairs and increase your home's energy efficiency. By inspecting your roof, attic, windows, and siding, you can prevent leaks that can cause significant damage to your home's interior. By repairing leaky faucets, sprinklers, and appliances, you can conserve water and reduce household expenses. When you're a homeowner, regular maintenance is essential to prevent problems, and quick repairs are necessary to keep problems from getting worse. Typically, your home increases in value over time and you build equity in your home. Proper maintenance and repairs will keep your home in good shape and operating efficiently. If you decide to sell your home, a well-maintained home will sell for a lot more than a home that's run down and in need of repairs. If you don't maintain your home on a regular basis, your home's exterior and interior will deteriorate much faster, and you will not get a good appraisal for your home. 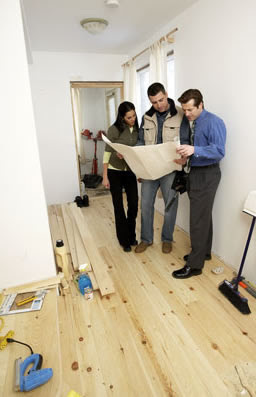 The real estate inspection will likely find various problems that may impact the sale and sale price of your home. Buyers may offer less to compensate for needed repairs that they have to make, or they may want you to replace or repair things as a contingency of purchasing the house. Either way, you won’t get as much money out of the sale of your home as it is probably worth, which means less profit on your investment. Although regular home maintenance and repairs require time and money, they will increase the property value of your home and put more money in your pocket if you decide to sell.